Develop the next generation of Qatari players that can compete at the highest levels of the ITF, ATP, and WTA tennis tours. Professional tennis in Qatar started small but strong. It began with exhibition tournaments featuring distinguished players. The Stadium has all the necessary elements to host the most prestigious and biggest tennis tournaments in the world. He was the first Qatari Tennis Player to ever play in the ATP. 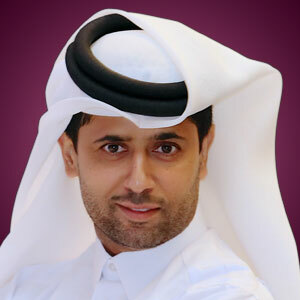 As part of the Qatar National Team, Nasser won the GCC Team Tournament. This celebrated athlete and pride of Qatar. He is currently the President of the Qatar Tennis Squash and Badminton Federation and the Vice President of the Tennis Asian Federation.